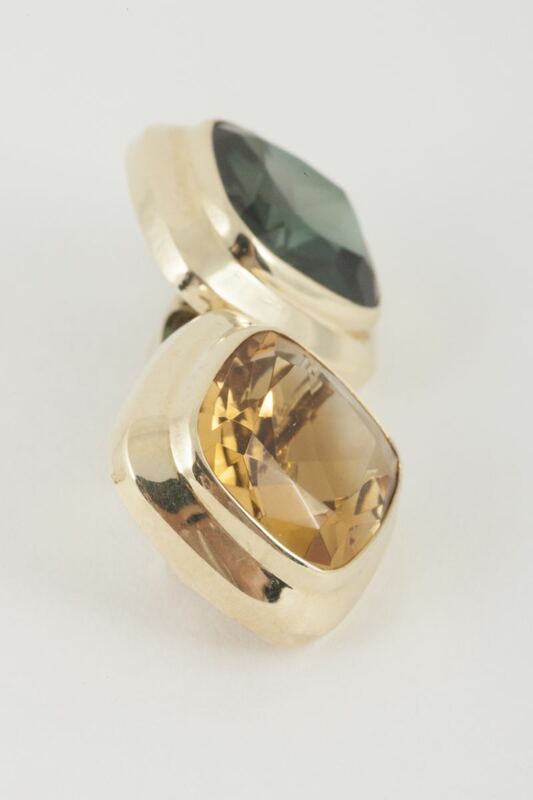 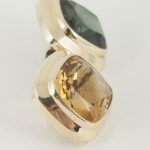 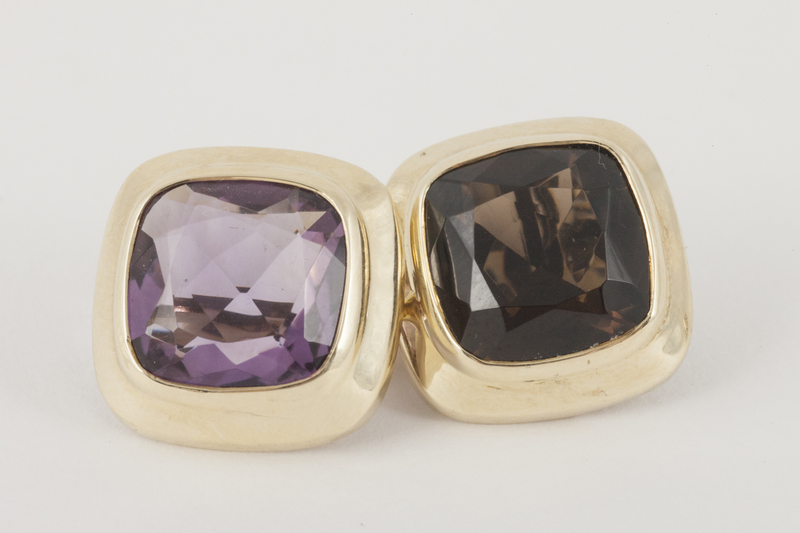 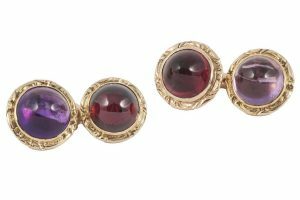 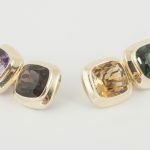 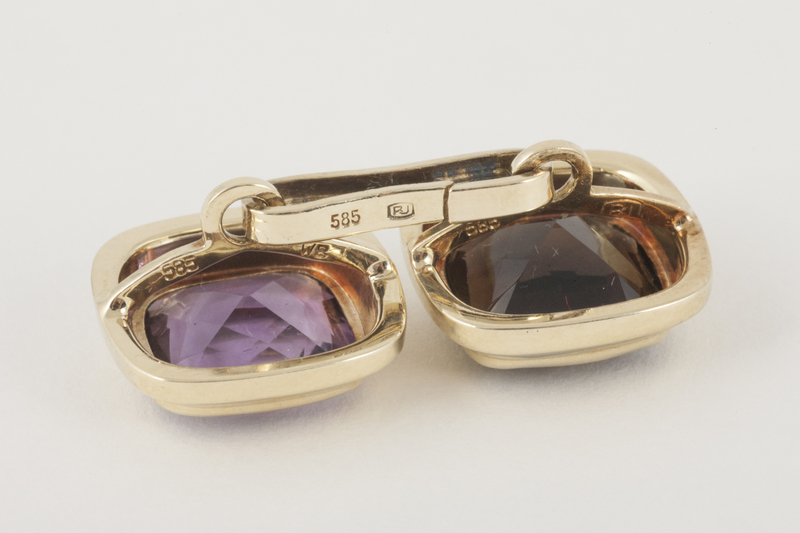 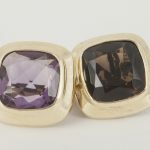 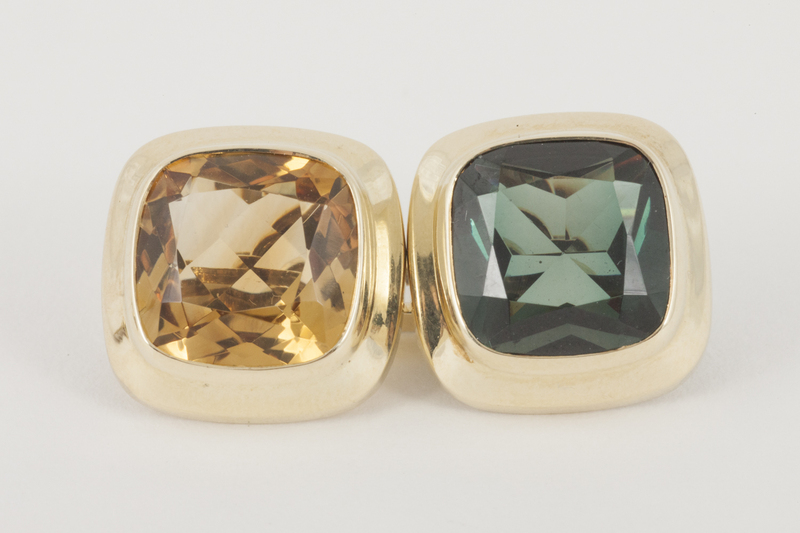 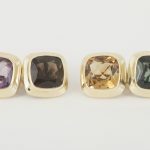 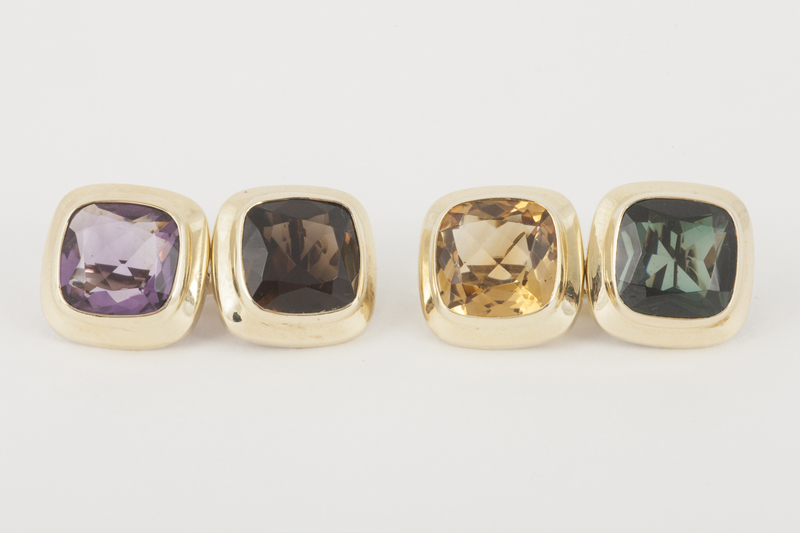 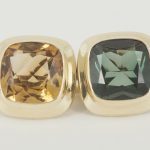 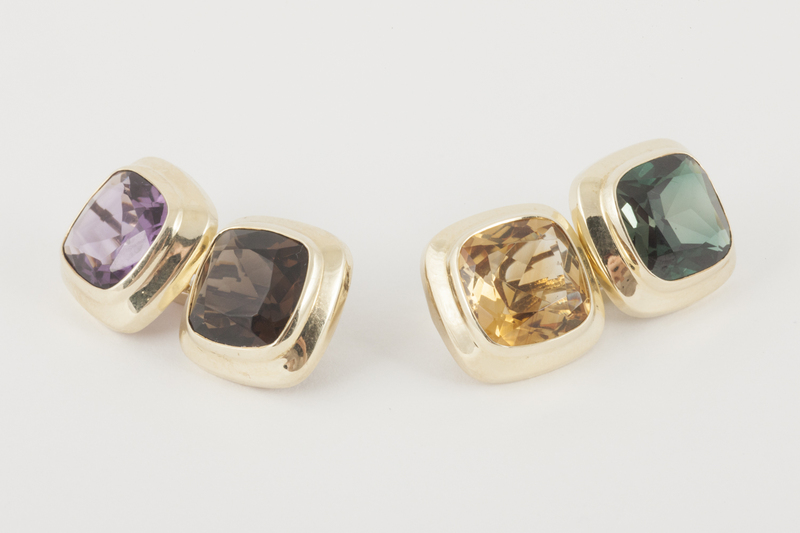 A pair of 14 karat yellow gold mounted double sided cufflinks set with semi precious stones comprising a smokey quartz, amethyst [not tested], tourmaline and citrine. 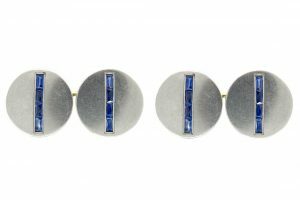 Detachable connection link in order to change colours. 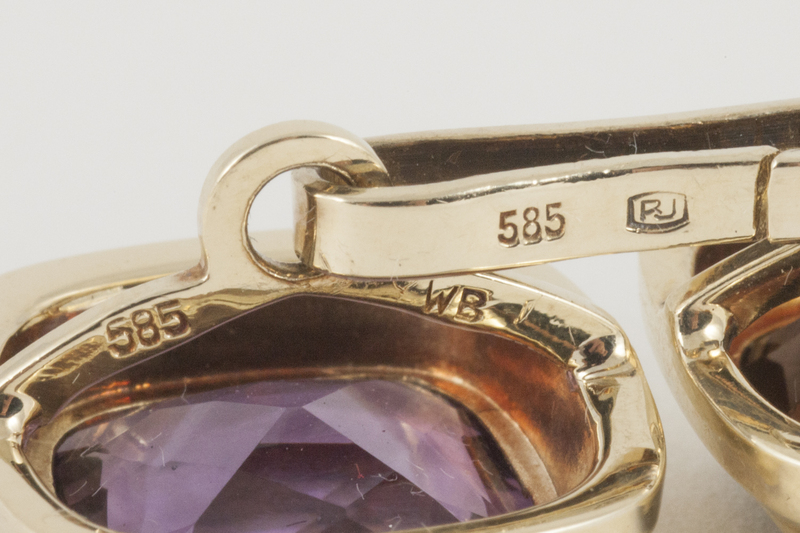 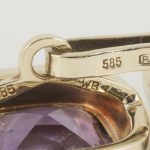 Hallmarked 585 for 14 kt gold and initials WB for maker. 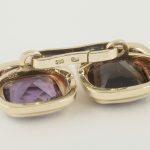 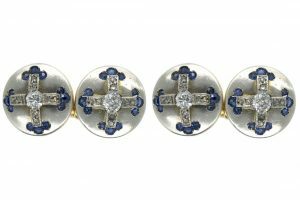 Face of links are square in shape and measure 15mm in width. 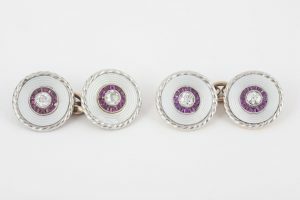 20th century, Austrian circa 1950.